Headaches are defined by pain in the head or neck. There are a number of different types of headaches and any number of them can be caused by lack of sleep, stress, medications, infections, noise, illness, and injury, just to name a few. At least one half of all adults in North America will suffer from a headache once in a year. The most common type is caused by tension but migraines can be the most debilitating. 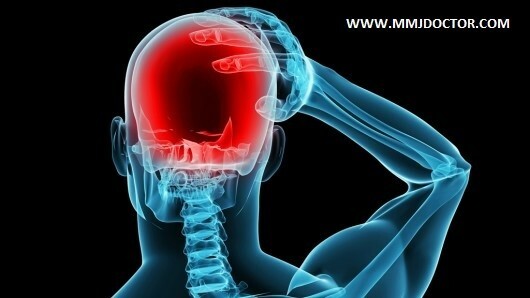 On going research is trying to find the definitive cause of migraines and for some sufferers triggers have been found. But not everyone has the same trigger(s). There are headache sufferers who have tried a number of different treatments looking for relief from the pain for many years and have not been successful. Also involved with many medical treatments are side effects which adds another difficulty to already bad situation. In as there are over 15 types of headaches, there are over 10 different types of treatment. These treatments can range from very strong medications, like Demerol injections, to life style changes including meditation. However one of the fastest growing methods is the use of medical marijuana for headaches. Headache sufferers who use medical marijuana pain management note that the side effects are almost non-existant and the relief is just as effective as other treatments, not only for a common headache, but migraines as well. Pain management doctors in San Francisco have been strong advocates of using marijuana to treat migraines. Ingesting medical marijuana is not always an option in treating migraines because of the nausea experienced by most sufferers and the effect can take over an hour to be effective. Therefore, most sufferers prefer to smoke, vaporize or use sprays. Apply for medical marijuana card online here. Smoking, vaporizing or using sprays, provide relief almost instantly and can prevent or stop nausea and actually stop the migraine completely. The psychoactive effects of smoking, vaporizing and using sprays also help stop the growing anxiety and stresses associated with migraine headaches. Using medical marijuana for headaches and migraines can decrease the number of attacks as well. Since migraines can affect a persons quality of life it is one of the conditions that is sanctioned for medical marijuana pain management in California and a number of other states. Ongoing research and clinical trials are showing that the cannabinoids in medical marijuana affects the serotonin levels in the body. Serotonin is a ‘feel good’ chemical and is shown to be enhanced with the use of medical marijuana. Any adult can get a medical marijuana card for migraines by having a 420 evaluations done by a pain management doctor in San Francisco or San Jose. An MMJ doctor can prescribe the proper strain for treatment. The two most popular medical marijuana strains for migraines are indica and sativa. These two strains have similar and differing side effects in pain management and individual lifestyles or preferences need to be taken into account when prescribing either strain. Indica, originally from India, has a more psychoactive effect and was considered a medicinal plant in the mid 1800’s whereas the sativa strains, originally common in Europe, were largely ignored for the longest time. The major differences between these two strains is the amount of THC and CBD in each. The indica strain has a higher level of THC compared to CBD, causing the relaxed feelings, and are often used to decrease stress and enable sleep. This strain is not the best if you want to do some heavy thinking, however it is a good strain to help alleviate headaches, including migraines with its sedative effect. There are a large number of medical conditions that benefit from the indica strain more than the sativa strain, and most of them tend to include some level of chronic physical pain. The indica strain is also good for decreasing nausea and anxiety, commonly experienced by migraine sufferers. CBD, cannabidoil, boosts the amount of anandamide (the “happy” chemical) in our brains, resulting in a hightened feeling of awareness without as many psychoactive effects that come from using a strain with THC. The sativa strain has a higher CBD level compared to THC, creating a more stimulating effect. The sativa strain tends to make someone feel energized and increase the sense of well being. Sativa strains are better for waking hours in how is can help the users mind become more focused. Some users find the sativa strains help stabilize some mood disorders like Attention Deficit Disorder and depression. However, this strain can also make anxiety worse and even cause paranoia. Both strains affect mental activity to varying degrees and has been tested on people for many different conditions including migraines. However, because of the higher THC content in the indica strain it is more commonly used medical marijuana pain management. Ongoing research and clinical trials are showing that the cannabinoids in medical marijuana affects the serotonin levels in the body. Serotonin is a ‘feel good’ chemical and is shown to be enhanced with the use of medical marijuana for pain. Ond theory is that migraines may be caused by a deficiency in endocannabinoids in the brain. These endocannabinoids are the body’s chemical on/off switch for pain. Both THC and CBD have shown to give these endocannabinoids a little bit of help by modulating this switch. There is a theory that chronic pain sufferers are low in cannabinods. This is being shown by many users who have stated that their migraine headaches decrease from extreme to nothing in just moments of inhaling medical marijuana. It took longer for the effect to take place with users who ingested medical marijuana however the effect, when it took place, was just as dramatic. How to get medical marijuana for migraines in California is as easy as making an appointment with a pain management doctor, or contacting an MMJ doctor online, for an evaluation. Once the evaluation is complete, a medical marijuana card is issued and medical marijuana for migraines can be prescribed. The different methods of using medical marijuana are inhaling, ingesting and topical. Various dispensaries will have them all. For marijuana pain management of migraines, a sufferer may use more than one method to get relief. Synthetic THC is also available if preferred. For those sufferers who prefer to use natural methods for controlling or eliminating headache and migraine pain, medical marijuana alone or combined with avoiding the triggers (if there are any), meditation, hypnotherapy, and many other lifestyle changes can increase a patients quality if life. The brain cannot sense pain itself, rather, pain is a processed message from screaming nerves – triggered by irritated, inflamed or damaged areas about the skull. To most effectively treat headaches, or any other disorder – if possible – the underlying root cause should be identified and treated. While sorting the cause, effective painkillers are a godsend for those in extreme agony. With Marijuana legalization in many parts of the country, American doctors and patients are learning about Marijuana’s miraculous pain killing properties. Thirty years ago researchers discovered that bioactive ingredients of Marijuana mimicked the body’s own neuro-chemicals called endocannabinoids, that control brain receptors that modulate pain and inflammation. Most pharmaceutical drugs work by blocking nerve receptors and signal pathways. Certainly pharmaceutical painkillers work – but at a horrendous cost in both quality of life and life expectancy. In contrast, Marijuana, works in a natural way to ease pain. MMJ DOCTOR: Patients who suffer from headaches can be evaluated by licensed California Physicians with a long time experience in Medical Marijuana. Schedule your appointment here.